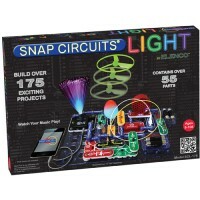 Elenco's bestselling Snap Circuit Jr. 100 electronic kit is available in its educational version that will work great for home or classroom science learning. 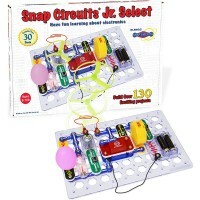 Elenco's bestselling Snap Circuit Jr. 100 is available in its educational version, that will work great for home schooling, middle schools or high school science lessons. 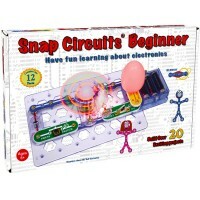 Teach kids about wonders of electricity, physics, and electronics at home or school classroom. 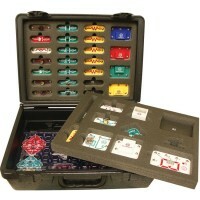 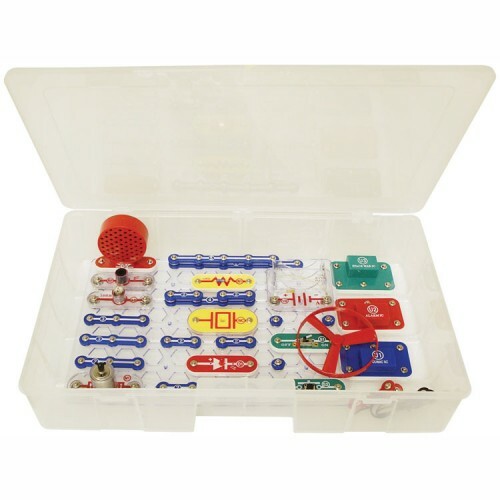 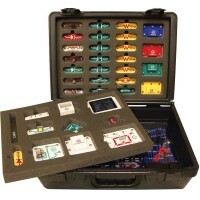 Student Training Snap Circuits Jr. 100 Electronic Kit includes more than 30 parts neatly packed in a lightweight storage case. 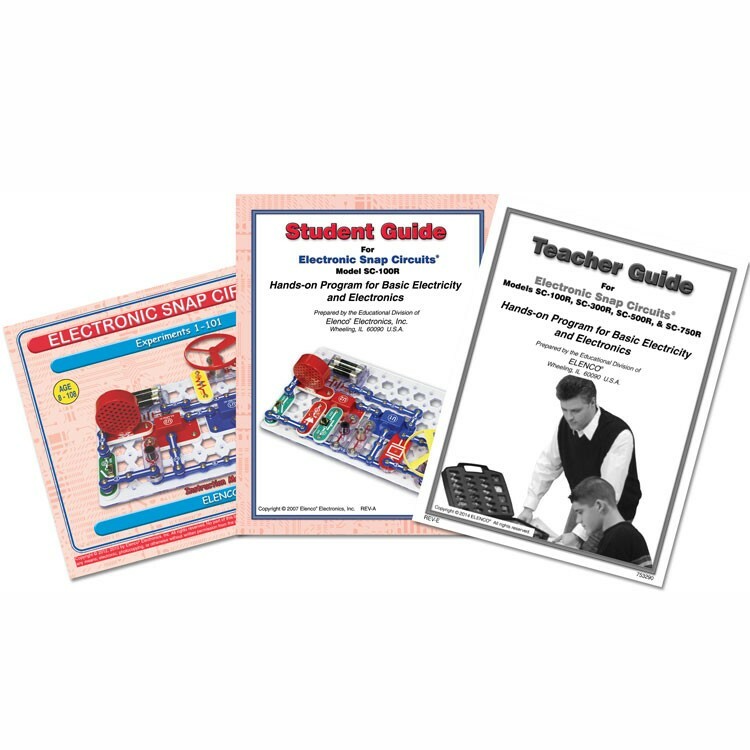 Student Training Snap Circuits Jr. 100 Electronic Kit comes complete with a project book, Student Guide and Teacher Guide. 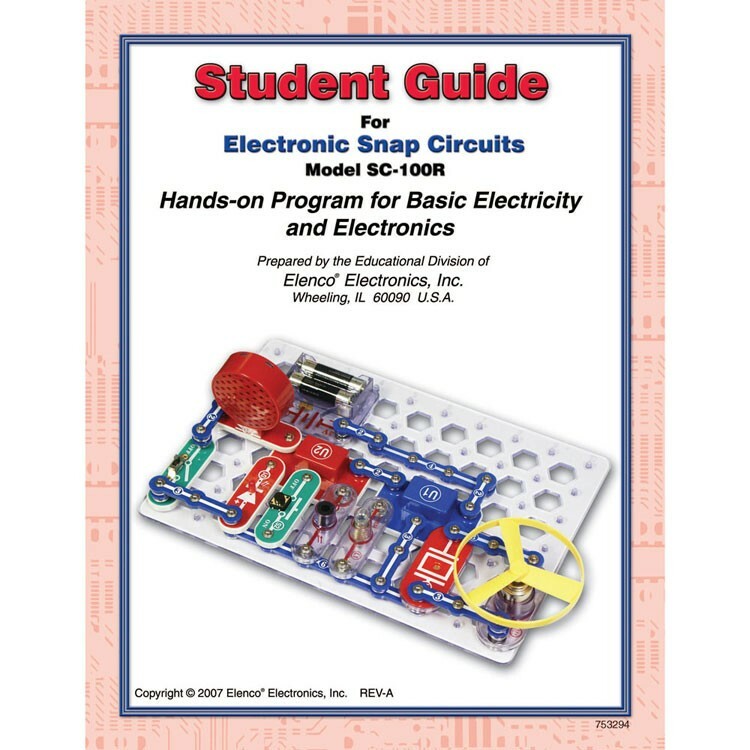 Students follow the instructions and snap the electronic components to the circuit board building their own working projects: AM radio, doorbells, burglar alarms, electronic games and more. 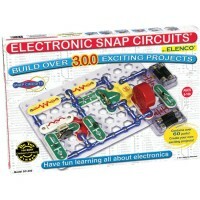 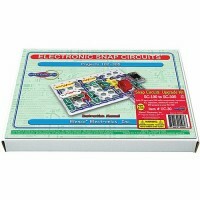 The Student Training Snap Circuits Jr. 100 Electronic Kit lets the children conduct 100 electronic experiments. 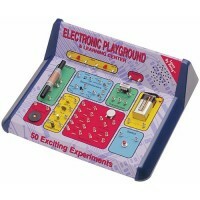 Let the children have hands-on fun science learning with Educational Toys Planet's SC-100R kit. 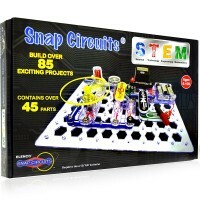 This snap circuit kits requires 2 AA batteries (not included). 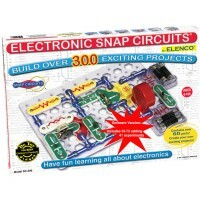 Dimensions of package 9" x 14" x 13.5"
Write your own review of Student Training Snap Circuits Jr. 100 Electronic Kit.